Your mom has probably told you many times, “safety always comes first.” It’s a cliche statement but it’s true! In this crazy world that we live in, we always need to have a backup plan in case something goes wrong. When it comes to protecting your assets, the same stays true. Whether you’re storing fragile goods or heavy products, Felix Loeb will ensure your product remains in the condition you left it while also maintaining a safe environment for you to work. If you have flammable liquids that you need to store near work, Felix Loeb’s flammable cabinets have got you covered. 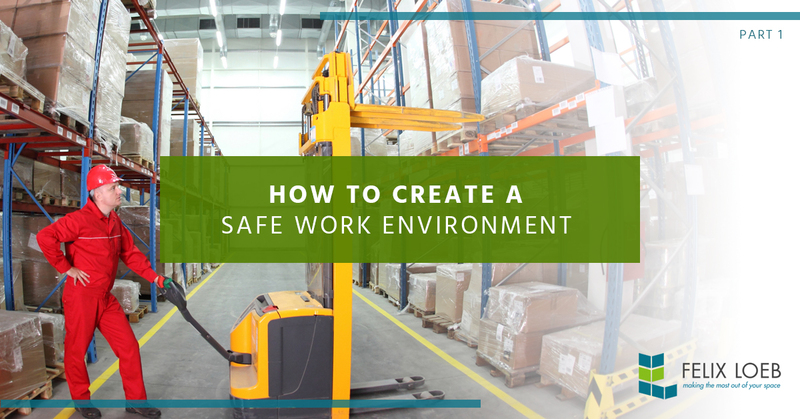 These cabinets are approved by the Occupational Safety and Health Administration, an organization designed to eliminate known workplace dangers and keep employees safe. They range in size from 4 to 90 gallons so you can store whatever you need! It’s important to keep flammable materials stored away from any area that could potentially light on fire to prevent making the issue worse. Safety netting systems are important for protecting your employees from falling objects, as well as preventing fragile materials from breaking. These nets vary in size so you can be sure to get something with the coverage you need to feel secure and confident that your workers are safe. If you’re working in a high-intensity work environment, you’ll want to have anti-slip mats to keep you on your feet and moving. These mats will protect the floor and make you feel more secure as you navigate your workspace. At Felix Loeb, we want to make sure you have the safest work environment possible by providing you with the most up-to-date safety equipment. Whatever the need is for your warehouse, we have the products available to you. Learn more about our top quality products and services today!